MANILA (Mindanao Examiner / Oct. 23, 2011) – A Filipino lawmaker urged the Bangko Sentral ng Pilipinas to stop so-called offers “double-your-money, five-year term deposit” being offered mostly by rural banks. “These double-your-money offerings, which supposedly guarantee a net interest rate of 15 percent per annum, compounded yearly, clearly constitute unsafe and unsound banking practice,” said Rep. Arnel Ty, who is a member of the House Committee on Banks and Financial intermediaries. “The promised effective yield is definitely excessive -- at three times the average five percent interest rate being offered by reputable banks for five-year deposit placements,” he said in a statement sent to the Mindanao Examiner. He said many of the rural banks that recently collapsed were found tendering the double-your-money scheme. “These now failed banks were likely already having serious liquidity problems that drove them to offer such sky-high deposit interest rates. Unfortunately, the extremely high-yielding deposits also pushed them into riskier lending activities that broke the bank,” Ty said. Ty also urged the state-run Philippine Deposit Insurance Corp. to take forceful legal action against the officers of bankrupted lenders found to have committed fraud or violated the country’s banking laws. “The fact that each depositor of an insolvent institution is insured up to P500,000 does not make bleeding a bank dry a victimless offense. Depositors of banks in receivership agonize over when they’ll get their money back, and how much they will actually recover. Meanwhile, without access to their funds, they struggle to cope with living expenses, and to pay obligations such as the school fees of their children, a credit card bill, or a home loan,” Ty said. “In a way, taxpayers are also victims, since the PDIC is a government instrumentality attached to the Department of Finance,” he added. Ty previously filed House Resolution 1749, seeking an inquiry into the collapse of LBC Development Bank. 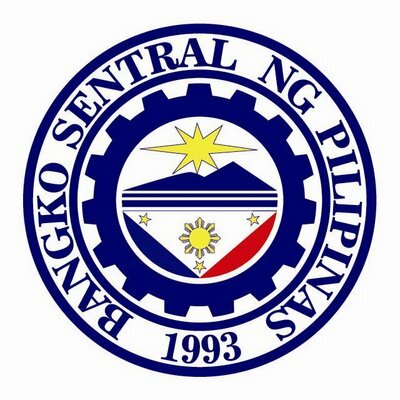 On top of Banco Filipino Savings and Mortgage Bank and LBC, the BSP has so far closed down 25 mostly rural banks this year - Rural Bank of Tarlac Inc.; Bank of Calape (Savings and Mortgage Bank); Rural Bank of Garcia-Hernandez (Bohol) Inc.; Rural Bank of Matanao (Davao del Sur) Inc.; Express Savings Bank Inc.; Rural Bank of Tampakan (South Cotabato) Inc.; Rural Bank of President Roxas (North Cotabato) Inc.; Rural Bank of Tagudin (Ilocos Sur) Inc.
And Rural Bank of Nabas (Aklan) Inc.; Mambajao Community Rural Bank Inc.; Rural Bank of Agno (Pangasinan) Inc.; Banco Agricola Inc.; Rural Bank of Toledo Inc.; Advance Bank Inc; Growers Rural Bank (Angono, Rizal) Inc.; Rural Bank of Mapandan (Pangasinan) Inc.; Rural Bank of Norzagaray (Bulacan) Inc.; Rural Bank of Manjuyod (Negros Oirental) Inc. Rural Bank of Bingawan (Iloilo) Inc.; Rural Bank of Zapote (Las Piñas) Inc.; GMA Rural Bank of Cavite Inc.; Ibalon Rural Bank (Tabaco, Albay) Inc.; Rural Bank of Sta. Rosa (Nueva Ecija) Inc.; Rural Bank of Baler (Aurora) Inc.; and First Country Rural Bank (Pasig City) Inc. In 2010, the BSP shut 32 rural banks, including 13 that were linked to the investment scam of the Legacy Group of Companies.